In a Nutshell: Finding the right place to put your money is a big deal. Some banks charge fees where others don’t, and some have more perks depending on the type of account you want to open. For more than 15 years, MoneyRates.com has provided banking data, such as interest rates, for easy, side-by-side comparisons. In 2009, MoneyRates brought on Richard Barrington, a Certified Financial Analyst (CFA), to be the spokesperson of the site and offer expert insight into the world of finance. A 20-year veteran of the industry, Richard has since helped the site broaden its appeal by offering more content and resources for retirement planning, buying a home, and career advice, in addition to banking information and other topics. The site even has a question box right on its homepage that readers use to ask Richard for more guidance on specific issues. I distinctly remember opening my first bank account. Newly employed at 17, all I was looking for was a place to stash my cash. The bank by my parents’ house was convenient enough — I passed it every day going to school and work — so I decided to sign up. Luckily, when I moved away for college, there was another branch nearby, so I continued my banking relationship. However, by the time I was graduating, the bank had lost my business. It hadn’t kept up with technological advancements like mobile deposits, and it found ways to charge me fees even though I always had more than the minimum balance in my account. The bank also didn’t have branches in the city I was moving to next, and it hadn’t been giving great returns on my savings account. The next bank I chose was based again on availability — I saw them on every corner, it seemed. The bank was making breakthroughs in the digital age with a zippy app featuring mobile deposits and even an online service to send money that rivaled PayPal. While very few banks offer great returns on savings accounts these days, at least the interest rate at my new bank was higher than that of the last. With over 6,000 FDIC-insured banking institutions in the United States, it can be difficult to compare the details that matter most to you. 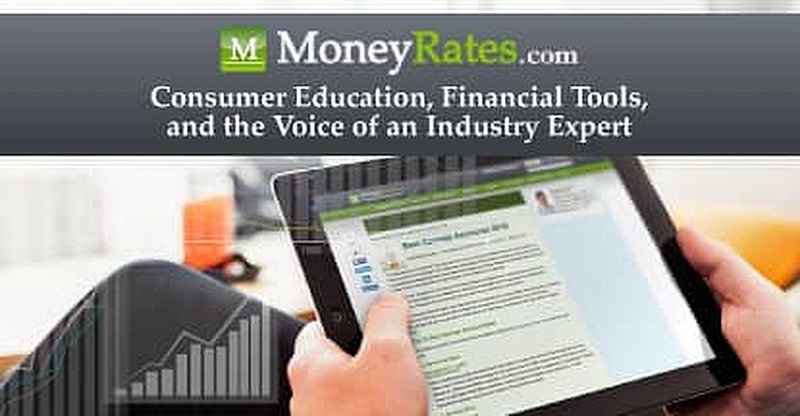 Since 1999, MoneyRates.com has offered extensive reviews of banks based on features like free checking accounts, high-yield savings offerings, and specific options for students or investors. In 2009, 10 years after its founding, MoneyRates reached out to Richard Barrington, a Certified Financial Analyst (CFA) with 20 years experience in the industry, to become the Senior Financial Analyst and Spokesperson for the site. Richard, who had been quoted in publications such as The New York Times and The Wall Street Journal, has since helped steer MoneyRates toward providing more financial guidance on a wider range of topics and to a broader audience. We caught up with Richard on a recent Tuesday afternoon to hear what he views as most important in educating the internet on topics such as money management, earning potential, saving for retirement, and more. We were most impressed with the variety of in-house resources MoneyRates offers, including full reviews of major banking institutions, mortgage and retirement calculators, and interactive comparisons of interest rates for different types of accounts. On MoneyRates, readers can submit questions for expert answers from Richard Barrington, CFA. While MoneyRates started by simply comparing rates at different banks, Richard is pleased that he and the other writers for the site have helped provide more insight, which he says adds a little color to the reviews and other resource guides. Besides bank reviews and trend dissection, Richard explains to us that MoneyRates also offers financial advice on careers and retirement. “The ‘Best States to Make a Living,’ which we’ve done annually for five years or so, attracts a lot of attention,” Richard adds, citing it as one of the articles readers most look forward to. 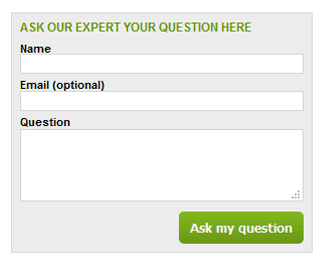 He also explains that the Ask the Expert query box on the MoneyRates homepage is extremely popular. Richard is typically the person who answers the questions, but he tries to generalize them a bit to make them more relevant to a broader audience, especially when the question is extremely specific. After years of working for a high-demand investment advisory firm, Richard says he was ready for change and wanted to live a more flexible lifestyle. He enjoyed writing about finance, so he started freelancing and sharing his insights. He was approached by MoneyRates to become the Spokesperson and Senior Financial Analyst of the site after he had been a freelance financial writer for the site and related websites for a few years. Richard Barrington, CFA, Senior Financial Analyst and Spokesperson for MoneyRates, has been working for the site for seven years. That was seven years ago, and Richard has enjoyed reaching a larger audience outside MoneyRates’ historically older and affluent readership. Plus, he has been able to incorporate a wider range of financial topics in the articles section. “I’ve really made an emphasis to broaden it out to more of a consumer advocacy and advice type of site,” says Richard, adding that people’s financial plans aren’t limited to their savings accounts. Richard also says he turns to trusted industry and government channels for top news like labor reports and economic details. His favorites include American Banker and National Mortgage News as well as the Federal Reserve and the Bureau of Labor Statistics websites. “What I love about the field of finance is that it’s varied, and it’s so tied to global events that, in effect, there’s something new happening every day,” he says. Add to that a few pop culture references — his 2013 piece on financial lessons from Downton Abbey was syndicated on Nasdaq.com and Business Insider — and Richard makes finance more approachable. Sitting in the stuffy office of my first bank, I could not have imaged at 17 that within the following 10 years I would do business with at least six different financial institutions. Some of them I selected myself based on research (such as who has the best savings interest rate), and some I was forced into joining for retirement plans at various jobs. Thanks to organizations like MoneyRates, consumers can sort through the details to more accurately compare financial institutions. MoneyRates has, since its inception, been focused on providing up-to-date data on banking institutions. Over the years, the site has evolved to offer even more useful tools such as mortgage and retirement calculators. By bringing on Richard as the site’s Senior Financial Analyst and spokesperson, MoneyRates has been able to offer readers advice from a certified professional. 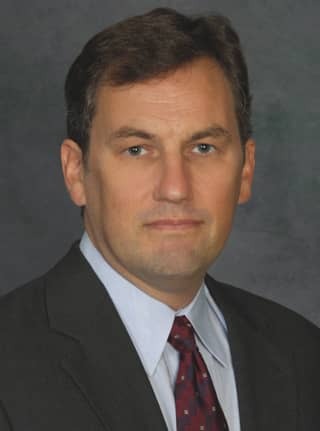 Having spent over 20 years at an advisory firm, Richard, is able to break down topics and trends for readers so they better understand everything from using a health savings account to affording the next summer vacation to where to find the lowest unemployment rate.